Brand attributes vary across organizations, depending on business goals, the industry, the marketplace, and other relevant factors. Overall, however, C-Suite members want to know the impact of their branding efforts on their organization, external stakeholders, consumers, and media channels. Our brand consultants suggest managers look for metrics that help them interpret the words or phrases that people associate with their brand. For example, words like innovative, inspirational, integrity, thought leaders, or expressions that portray satisfaction, confidence, loyalty, and trust. Furthermore, they need to know, at once, words being used that indicate a pending crisis so that it can be averted or mitigated. Senior leadership is also interested in how their brand is discussed relative to reputation, customer service, industry topics, and their products and services. They also want to know if consumers recognize their brand for corporate responsibility, sustainability, diversity, and inclusion. Naturally, purchase interest connects to the bottom line and therefore is critical to members of the C-Suite, who also want to protect the corporate reputation, avert or minimize crises, and ensure the customer experience leads to preference and brand loyalty. An abundance of metrics sometimes makes measurement feel daunting and confusing. 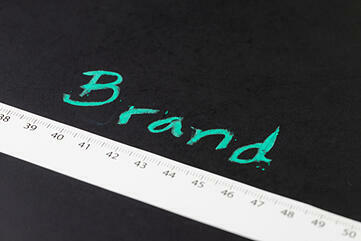 The best practice is to select brand metrics that align with your business goals. In other words—not all metrics matter, so use only those that do Here are five to consider. Brand Message Pull-through. Analyze the conversations that contain your brand messaging to determine which ones are used the most frequently and why. This pivotal metric helps you to make sure strategic messages resonate with your audiences and, when necessary, help you decide how to revise them to reach a broader or more targeted audience. Brand Attributes. Identify the words or phrases that people associate with your brand—as discussed earlier, confidence, trust, innovation, integrity, leadership, satisfaction, loyalty, customer service, etc.). Word clouds ("heat map" of the most popular words or phrases that resonate with your audience) can be used to gauge purchase interest, discussion about your corporate responsibility initiatives, and awareness of your products and services. Determining why the words are used is imperative to your analytics. Brand Reputation and Perception. Evaluate the volume and context of positive and negative words associated with your brand to help you learn what attracts attention and whether it affects reputation. During a crisis, this information can shape your strategic reaction. If you combine a word cloud with audience sentiment, it is a powerful metric. Brand Preference and Recommendations. Search for words (such as best, prefer, ultimate, or recommend) and determine when and why people express a preference for your brand or recommend it to others. Preference and recommendations form the foundation of brand recognition and positive reputation, showcasing a preference for your brand over others, or even better, stating that your brand is best. Also, cultivate these advocates for your influencer outreach program. Competitive Intelligence. Evaluate ‘Share of Voice’ to help determine who has the largest voice among your competitors on key matters for your brand and industry. More importantly, mine the results to identify the messages, positioning, and activities that contributed to your competitors’ share of voice and why. More importantly, mine the results to identify the messages, positioning, and activities that contributed to your competitors’ share of voice and why. Was there backlash to one of their initiatives? Did they launch a new product or service or issue a company statement that provoked a reaction? Gathering knowledge about your competitors can help you identify their strategies and tactics, discover missed opportunities, and uncover potential future opportunities. Creating an analytics program based on fundamental brand metrics arms you with data about your audiences and delivers information about your competitors. Understanding audiences’ reactions to your brand helps protect your brand reputation and plan for the future. Customizing the most appropriate brand metrics enables you to make data-driven business decisions and ensure your messages are relevant.